D+R mega-recommender Marilyn sent us a link for a tipping pen collection on Flickr. 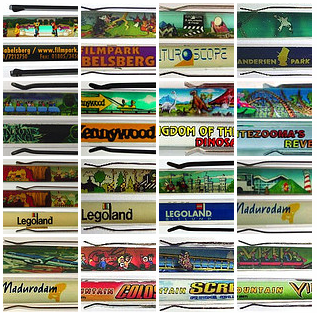 Focused entirely on tipping pens (or floaty pens) from amusement parks, I suspect that it is not the most diverse collection in the world but it is certainly worth a look. It jogged my memory. Back when I was employed and employable, one of my co-workers had a collection of tipping pens so large that she employed a database on the company mainframe to keep track of the collection. Granted, a PC database would have been adequate for the needs but she was a mainframe programmer and used the tool with which she was familiar. 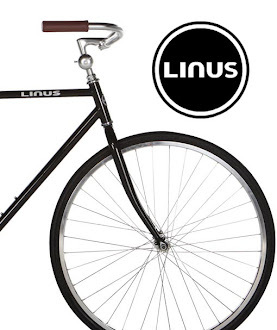 Besides, there is something absurdly elegant about using big iron for a task of folly. I knew of - and gawked - at the collection, but had not contributed a single pen. It was only a matter of time before she showed up at my cubicle with a 132-column green bar mainframe report to point out my lack of involvement. My defense was that although I had traveled extensively since learning of the collection, I feared that I would procure a duplicate pen. Then, the database would reflect, by way of a mark in the DUPLICATE field, that I had contributed a redundant pen. "What state are you missing?" I asked. After a quick check of the report - "Alaska!" Wasting no time, I immediately wrote a letter to the Honorable Senator from Alaska, Ted Stevens. Pretending to be an 8 year old, I wrote the letter with my non-dominant left hand and requested a pen. As I look at it now, I am fairly embarrassed of the amateurish attempt to hornswoggle the Senior Senator of Alaska, but, it worked. 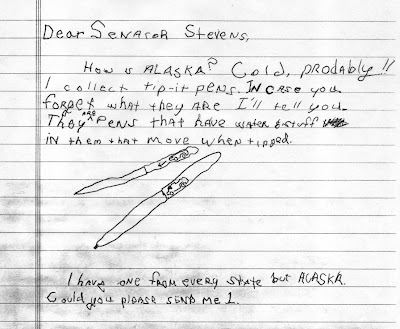 About 6 weeks later, a letter and pen arrived from an aide in Ted Stevens office. You have to A-S-K to G-E-T! As my co-worker entered Ted Stevens name in the donor field, I still didn't have a record to my name.